Facebook Poll: Declining Quality Care or A Healthier America... Obamacare Good or Bad for America? YOU DECIDE. Good or Bad for America? The most impactful mandates of The Patient Protection and Affordable Care Act (Obamacare) are scheduled to take effect in 2014. Proponents of Obamacare say 30 million Americans will gain access to affordable healthcare. Opponents say Obamacare will increase the federal deficit, ruin small business and greatly diminish the quality of the American healthcare system. EasyHealthOptions.com, America's #1 source for natural health information, is conducting an urgent poll to find out if you believe Obamacare is a positive step for the health of the American people or if you think it should be repealed. 1) Do you believe it is government’s role to mandate health insurance coverage for its citizens? 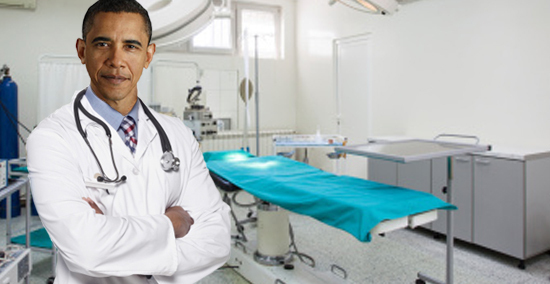 2) Do you believe the quality of American healthcare will decline under Obamacare? 3) Opponents of Obamacare cite cost as one of their biggest concerns. Do you expect your taxes to increase once Obamacare is fully implemented? 4) Would you like to see Obamacare repealed? Yes, I am for repealing Obamacare. No, I think Obamacare is good for America. to receive the results of the poll. America's premiere resource for natural health. I can unsubscribe at any time. The Top 10 Ways OBAMACARE Will Affect You!